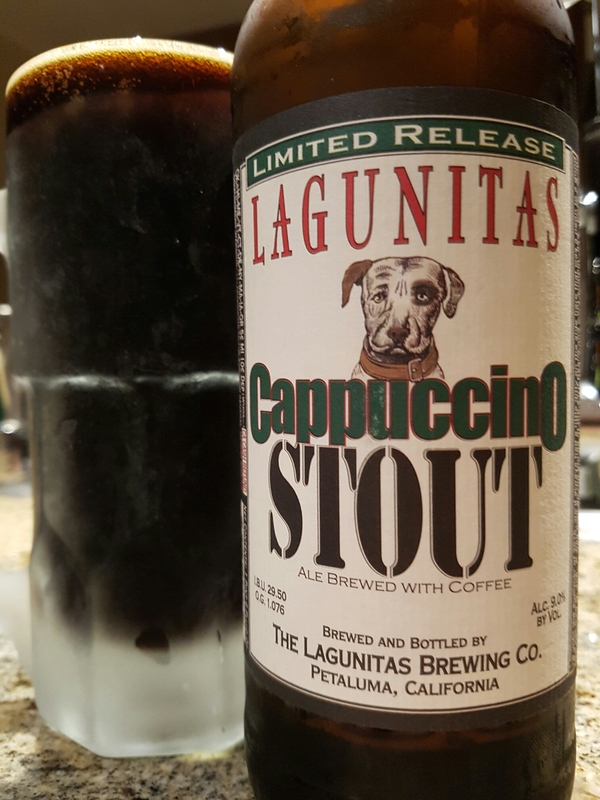 Cappuccino Stout – Lagunitas Brewing Co. (Petaluma, CA, USA) | Justintoxicated. Do I love this enough to drink it again: yes! Visual: Pours jet black without a significant head, ringed nano-micro ringed retention, steady micro streams accompanied by sporadic scatted bubbles. Finish: deep roasted coffee exhale w/ lingering bittersweet roasted malt. 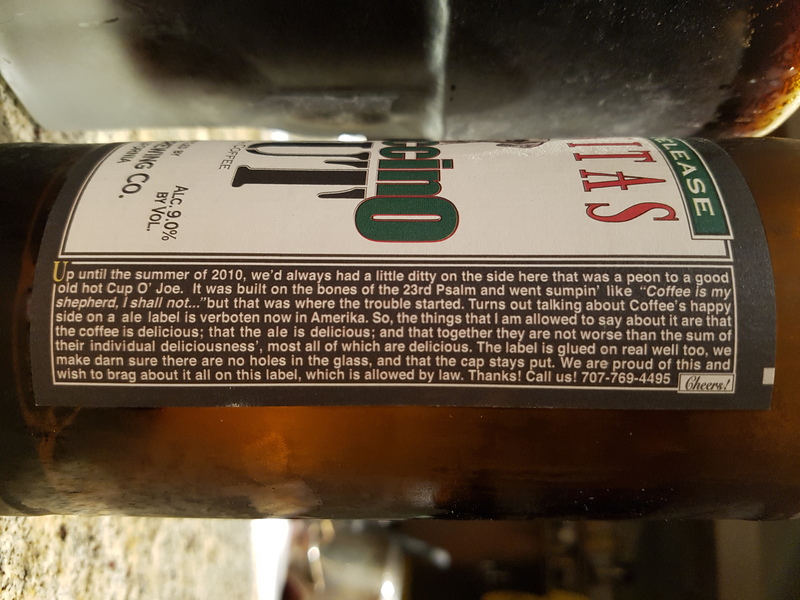 Summary: This one kept me sipping and sipping… and sipping. Wonderfully smooth and approachable thick-creamy mouthfeel with a very agreeable integrated roasted coffee & barley deep body. Balanced, rich, delicious. It could use a touch of milkiness, but otherwise excellent.